One of the easiest ways to upgrade bathrooms and enhance their functionality is by installing shower wall panels. Now, what purpose do they serve and why should you get them? Well, allow us to give a short prologue. What Are Shower Wall Panels? Shower wall panels are interlocked sheets — which when mounted on a bathroom wall — ensure 100% waterproofing and lend a sophisticated, elegant look to your showering space. They mainly serve the purpose of allowing you to take a shower with several elements incorporated in it. Some of these components are bathing products, massaging jets, a shower head, shower wand, and others. You will mostly find them in walk-in showers. So, now, you understand what a shower panel is. But do you know about the various factors that you should consider when getting one during your next bathroom remodeling project? Well, if don’t have much of an idea, then this guide is here to help. 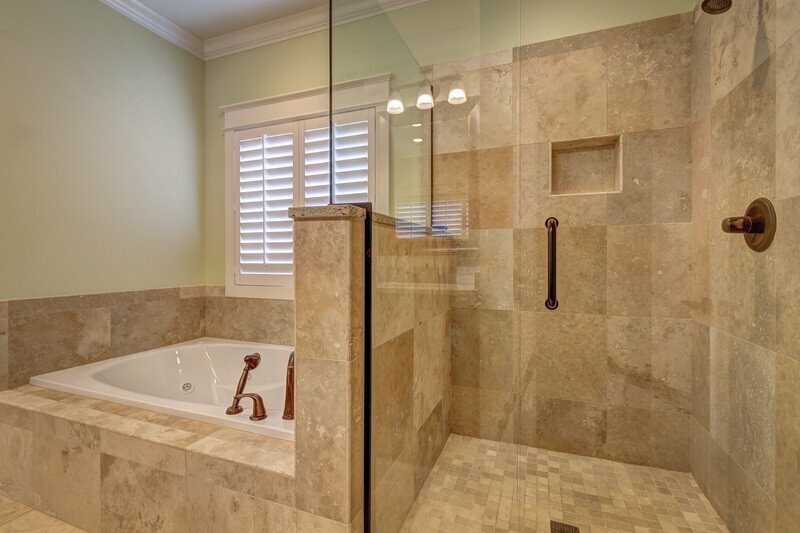 Read on and by the end of the article, we are sure you will have the required knowledge to pick the best shower wall panel for your showering space. Bathroom shower panels are made from several kinds of materials. Here is a glance at the most popular types. Marble and granite shower wall surrounds are perfect options if you are looking for a durable unit. Although they may cost you a few extra dollars, they are sturdy and resistant to damage. You can get these panels in dimensions – pre-cut according to the space available in your room. Fiberglass shower wall panels are the ideal options when your budget is tight and you have a standard sized bathtub or shower or both. Although the pattern varieties are plain and simple in this category of panels, they are pretty light and thin. Hence, you can install them easily in your home, without spending a huge sum. Solid surface panels are made from thick engineered stone and offer great strength plus durability. They have an even color throughout and can be used for shower and tub wall panels. They are waterproof, easy to clean and look elegant. 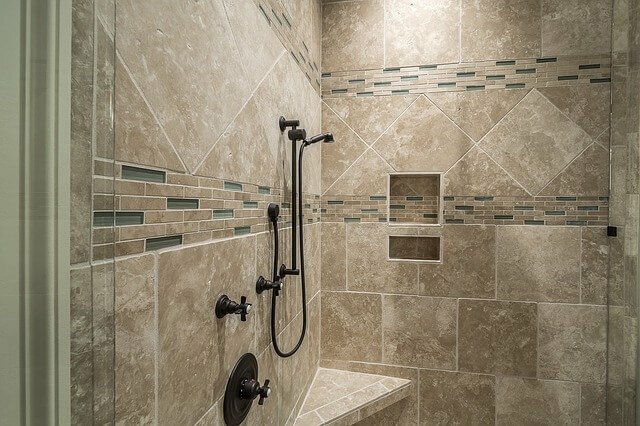 One of the most common materials used for shower wall panels, ceramic tiles can be found in any of your nearby local stores. However, if you install tiles, remember to pay special attention to the backer substrate. Some of the best options for applying tiles are concrete panels and similar products. Secure them tightly on the studs in the shower wall. Cultured marble — made with strong, natural marble dust and polyester resin — comes with minimal seams. They are usually installed with the help of silicone which offers great resistance to mold growth and leaks. Plastic laminates are pretty easy to install. However, they are not waterproof. Hence, seal the seams with silicone or water-resistant caulk. Since the panel is glued over the base, it may later create a problem if there are any gaps during installation. Acrylic panels come in the form of thin sheets and are available in a myriad of bold as well as semi-transparent shades. They are a bit costlier than PVC panels but are durable and hygienic. 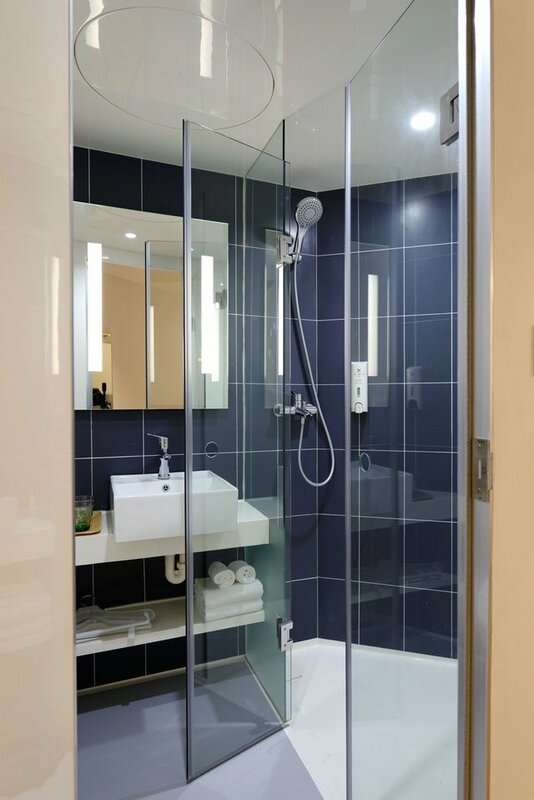 Non-plasticized PVC shower wall panels provide 100% waterproofing and durability. The panels are fixed on slots against each other and then sealed by applying a strip of silicon in between the joints. PVC panels are one of the cheapest options available in the market. MDF laminates are thick, heavy, and premium shower wall panels which comprise laminated backing on each side – making them 100% waterproof. You can get them in a gamut of designer patterns and unique designs — to suit your personal taste and style. And hence, they are one of the costliest options available. Most of the inexpensive variants come in standard sizes and hence, you need to be sure that they will fit into your showering area. Other units — such as MDF laminates and high gloss acrylic panels — can be purchased and customized according to your current layout. Measure your area from stud to stud and create a rough sketch. Give it to your supplier and they will let you know which material will be perfect for your bathroom. Research and try to know the approximate prices of your shortlisted shower wall panels. If your budget is on the lower end, you can go for the fiberglass or FRP variants. For a slightly higher budget, you may pick acrylic as well as laminated panels. Finally, if you have the luxury of a huge budget, your options are limitless. And when the price is not a barrier, the best choices are high gloss acrylic and natural stone panels such as marble and granite. 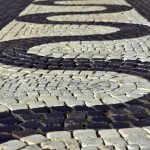 You may love tiles and natural stones; but are you prepared for its long-term maintenance needs? If not, laminates, fiberglass, and acrylic shower wall panels may be your best bets. Now if you want your interior to look like it is made of natural stone, go for laminates. They mimic natural stone in all respects and come in a variety of styles such as modern, rustic, and shabby-chic. Do you want to save some bucks and execute a DIY project? 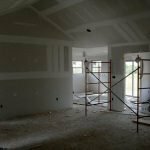 Then you can consider choosing fiberglass, PVC, or laminated panels. They are really simple to install. However, if you are going for the other variants, such as acrylic or natural stones, it is best to hire the services of a reputed contractor. 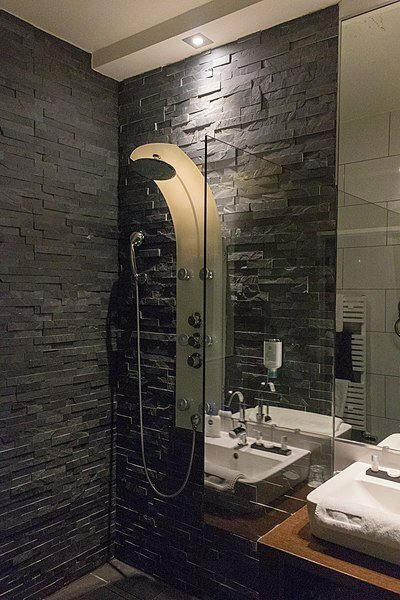 Shower wall panels cannot be fully complete without the required accessories. Some of these components include shower heads, niches, corner shelves, bench seats etc. However, not all types of panels offer you the same options to install accessories. For example, fiberglass cannot be used to install built-in accessories. On the other hand, PVC and laminated panels offer you a wider range of options for installing various showering elements. Therefore, understand what accessories can be installed into a certain panel unit before getting one for your bathroom. 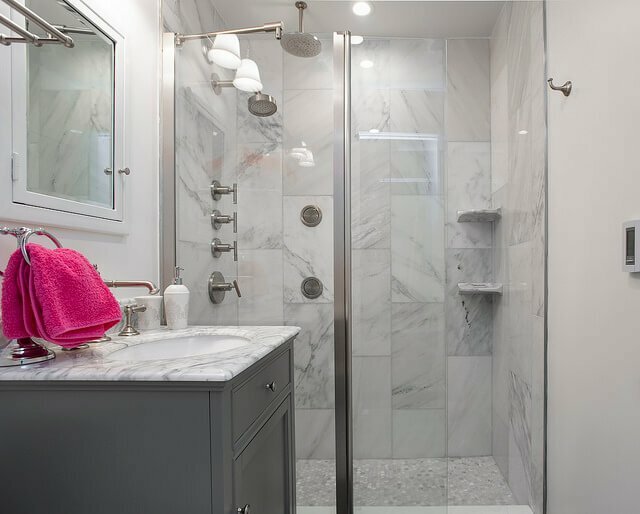 After following these simple tips, you can be sure of making an informed and right decision while choosing the ideal shower panel for your bathroom. Whether you’re installing your own shower wall panels or getting the task done via professionals, doing the required research is always a wise choice.